If parts of your scope have become lost or broken, please follow our link below for our simply request form. What does this mean in Great Britain? You are covered - same as in the United States. That doesn't matter - your receipt is your Vortex product. If you bought it in Spain and it was dropped and broken on your club range in Cambridgeshire, you're covered. How do I go about getting my Vortex Optics product repaired/Replaced under Warranty? 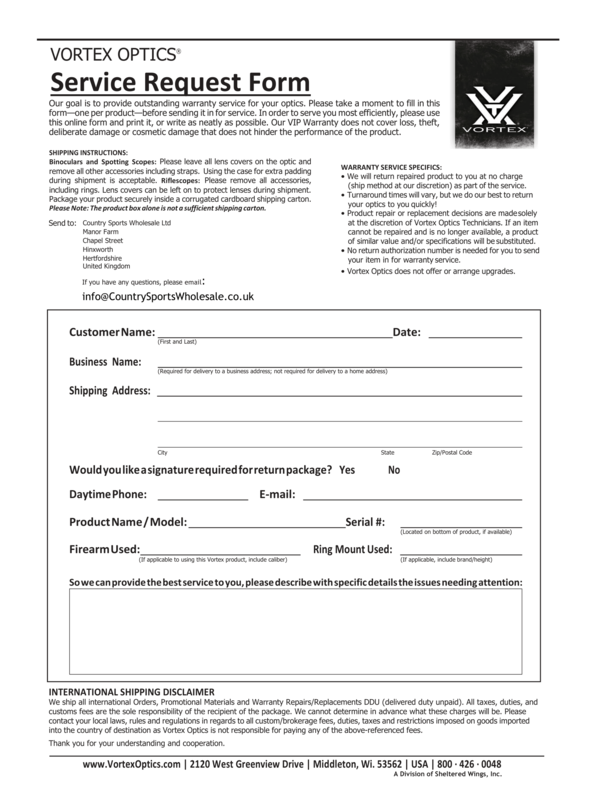 If you would like to call us and let us know it's on the way, or ask us any questions just contact us on 01462 743223 or email Info@CountrySportsWholesale.co.uk.